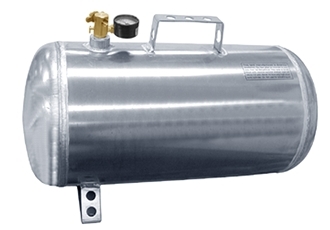 This lightweight aluminum air tank eliminates the hassles of dragging around the air hose. The 7 gallon tank will top off 4 tires. Special inlet valve fills tank in less than 10 seconds.